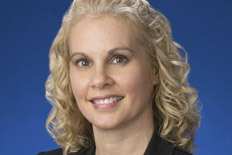 David S. Loshin, OD, PhD, FAAO, Dean of NOVA Southeastern University (NSU), College of Optometry, announce the appointment of Nicole Patterson, OD, MS, FAAO as assistant dean for student affairs and admissions of NSU’s College of Optometry. She assumed the role in July. Previously, she was the Director of Educational Effectiveness and Outcomes Assessment. She also serves as Chief of Low Vision Rehabilitation and Geriatrics at the college’s clinical branch, The Eye Care Institute, and associate professor of the college, where she has served as a faculty member since 2005. She has received numerous accolades including Low Vision Preceptor of the Year Award, President’s Distinguished Professor Award–Excellence in Optometry, and Dean’s Recognition for Significant Contribution. Patterson earned her doctor of optometry from Southern College of Optometry (SCO) in Memphis, Tennessee in 2002 and went on to complete a low vision rehabilitation residency at the college. She joined SCO’s faculty in 2003 as a clinical instructor focusing on low vision rehabilitation, pediatrics and vision therapy services. 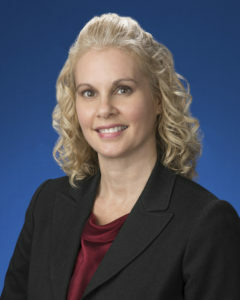 In 2004, she was appointed SCO’s coordinator of community outreach. While on faculty at NSU, in 2008, Patterson became an adjunct faculty member for Florida State University where she taught courses in the Master in Visual Disabilities program until 2014. She completed a Master of Science in Medical Education at NSU in 2013. Patterson, a Fellow of the American Academy of Optometry, lectures nationally and internationally in the areas of low vision, classroom-learning strategies for children with vision loss, and student engagement in professional education. She has presented posters in the area of low vision and has clinical research interests in the areas of pediatric vision loss, and student success in professional education.